We have several well-validated pre-clinical models in our portfolio to study the efficacy of your compound against characteristics of asthma, COPD and/or lung fibrosis. We offer different 2D and 3D in vitro and ex vivo models, including the cell culture of epithelial cells, airway smooth muscle cells, fibroblasts and mast cells of human origin. These include healthy and diseased cells, and we can offer several possibilities for target validation in human samples. Furthermore, we culture primary epithelial cells at an air-liquid interface. 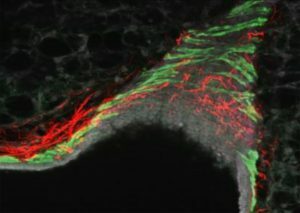 To recapitulate the complex micro-environment of the diseased airway and lung we offer organoid and lung slice models. The organoids are in particular interesting for studies into the regenerative potential of investigational compounds, whereas the lung slice is interesting for studies into airway narrowing and emphysema. Both can be prepared from animal and human tissue. Furthermore, we have several in vivo models available. Compounds can be administered locally to the lungs via nebulization or intranasal instillation, but other administration routes such as oral gavage or ip are also possible. For asthma, we have acute and chronic models, in both mice and guinea pigs. We can model different disease features of asthma, including airway hyperreactivity, inflammation and structural changes in the lung, referred to as remodelling. 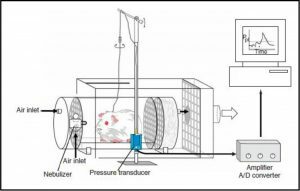 For COPD, we also have guinea pig models of acute and chronic exposure, as well as a mouse model of cigarette smoke exposure. We can model different disease features of COPD, including inflammation and remodelling. For lung fibrosis, we offer mouse models using bleomyocin or silica as stimuli. Taken together, we have a broad portfolio available and can also discuss custom based models, tailored to your needs. We continuously improve our models and develop novel models of airway disease. Please contact us for any questions you may have on our current models or possibilities for novel models. Together we can find the best solution to test the efficacy of your compound for lung diseases.